With musicians from three different continents it is hardly surprising that Baraka’s musical influences reach around the globe as they skillfully blend music from West African Highlife and South African Township with Caribbean Calypso, Soca and Reggae to produce a unique and exciting mix of polyphonic rhythms, soaring melodies and funky dance grooves. 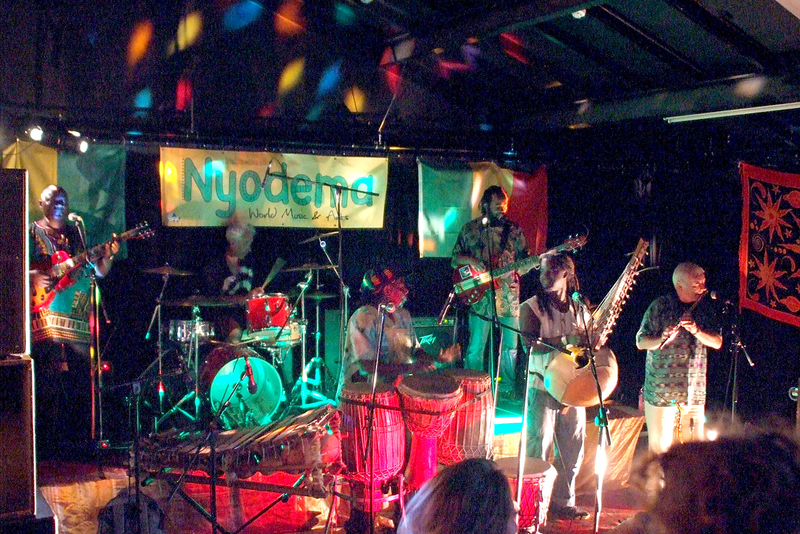 After headling at Nyodema’s Festival in 2008, they were such a hit with the audience that when Baraka asked to return the following year we couldn’t resist inviting them back to the festival in 2009. 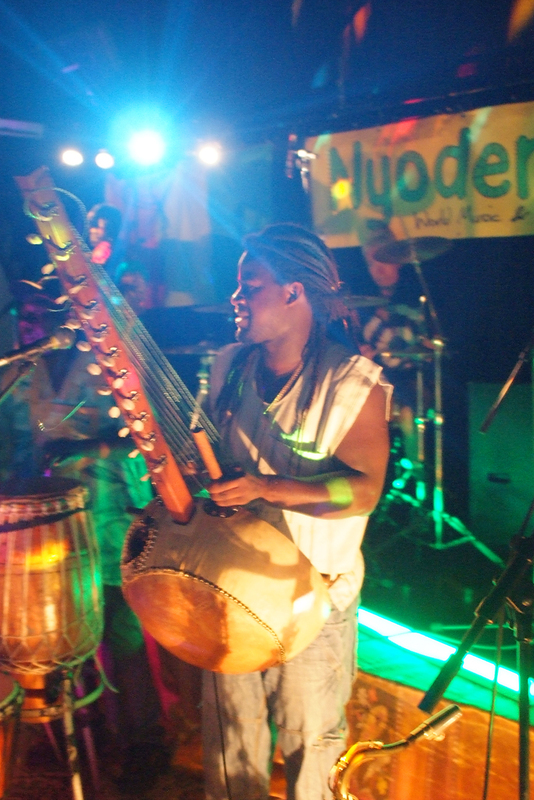 This year kora player and percussionist, Mamadou Cissoko, joined them on stage adding even greater depth and energy to their wonderful music. 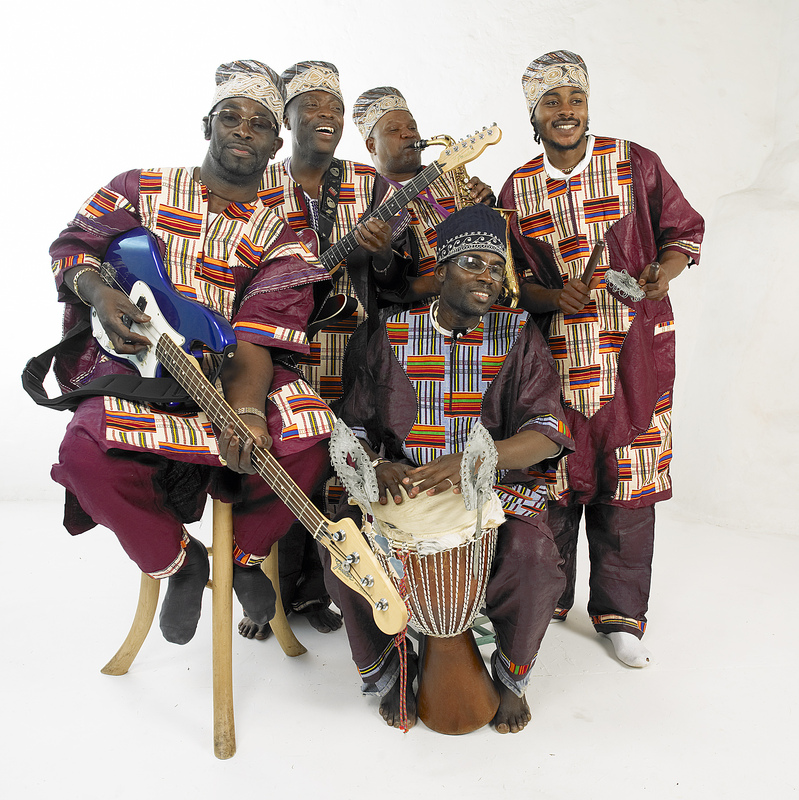 Their line-up includes Ben Baddoo on vocals, percussion and balafon. 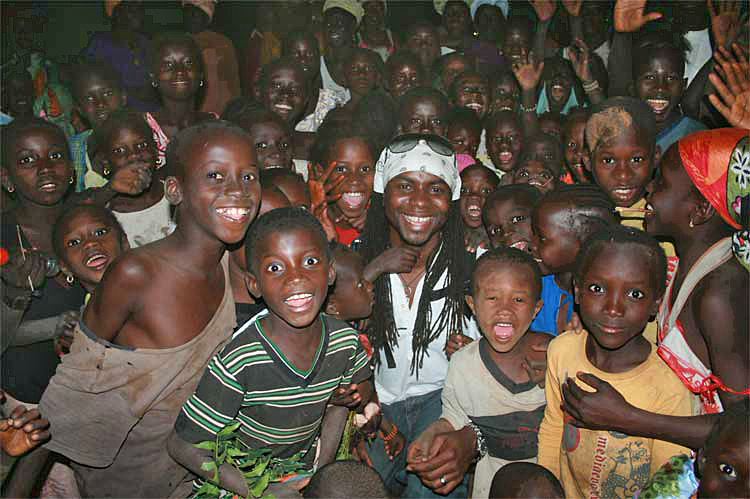 Ben started drumming with his older brothers when he was six in his home village of Nsakina in Ghana. At 17 he joined a professional drum and dance troupe and went on to form his own group, Sankofa, with whom he toured all over Ghana. In the 1980’s, after being discovered by a UK promoter, they became one of the first exponents of African drum and dance in the UK. Ben is now a highly respected session player, having worked with artists as diverse as Vangellis, Peter Gabriel and more recently Temple of Sound. He is also well known for his drum and dance workshops, which he has held in festivals around the world as well as in UK schools and colleges. A solo drum track that he recorded for the Womad Talking Book CD is now part of the UK Schools curriculum. Guitarist, Simwinji Zeko, spent many years performing and recording throughout Zambia and South Africa before moving to Europe. He now lives in the UK and plays with a number of bands including Baraka. Baraka’s drummer, Mark Bradley, was born in Belfast and his first taste of music was drumming in punk bands as a teenager. 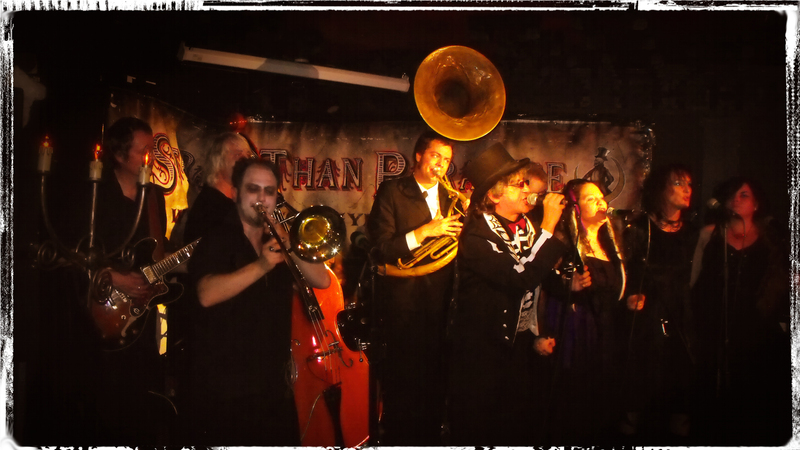 He has lived in the UK for 20 years and has played (and still does) with numerous bands covering a wide variety of musical genres. Royston Gage on bass guitar and vocals brings the sounds of The Caribbean to the group having played with soca and reggae bands in his homeland of the Commonwealth of Dominica before moving to the UK. Other early musical experiences include hanging out with Led Zeppelin when they used his band’s rehearsal room on the island! Saxophonist, Brendan Whitmore comes from Carlow, Eire. 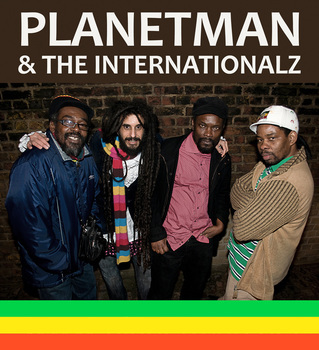 He discovered world music through reggae, having been a founder member of Bristol’s first and foremost reggae band Talisman with whom he has enjoyed numerous TV appearances, chart success and played on the same stage as the Rolling Stones. Senegalese Kora player, Mamadou Cissoko, spends much of his time running workshops and story telling as a solo artist. He doesn’t usually play with a band but he particularly likes Baraka’s music and ethics so when available he’s only too happy to join Baraka as a guest artist. With such a wealth of experience to draw on it is no wonder that they are now delighting audiences the length and breadth of Britain, as well as mainland Europe and Ireland with their exciting blend of world music. Daniel Isakongo, from The Congo, was a welcome addition to the band last year adding his unique brand of funky guitar and vocals. This entry was posted in Festivals, Miscellaneous and tagged Africa, Baraka, Ben Baddoo, Brendan Whitmore, Congo, Daniel Isakongo, Dominica, Ghana, Kora, Mamadou Cissoko, Mark Bradley, Senegal on September 5, 2009 by nyodema. A fantastic day with some truly memorable moments. For photographs of the day visit Nyodema Flickr stream. Among the craft stalls, traditional hand-crafted silver Tuareg jewellery was on sale from Mouhamed Ahnou, a Tuareg artisan from Niger. Sales of Mouhamed’s jewellery help to fund life-enhancing projects for his village, such as constructing a grain store, establishing a pharmacy, supplying school books and planting fruit trees. The Tuareg rarely visit the UK and this was a rare opportunity to buy direct from the artisan. The outstanding guitarists from the West Sussex Guitar Club performed a variety of pieces from around the world. Popular local trio, Six-Fifteen, started the line-up in the main hall with a lively mix of bluegrass and jazz. A talented group of local 14 – 16 year olds played a short set of reggae numbers. Beeja, a London based dance theatre company, presented an exciting insight into the Indian classical dance form ‘bharatanatyam’. A spectacular, colourful and vibrant celebration of dance and rhythm, the performance delighted the audience and the workshop was both interesting and great fun to take part in – as you can see from the photos if you go to the Flickr stream link at the bottom of the page. Meaning “Small World” in Portuguese the bands name reflects their mutual love of different music from around the world. With a heady mix of Latin grooves, African rhythms and jazz harmonies, Mundo Pequeno’s music has the power to move both your heart and your feet. 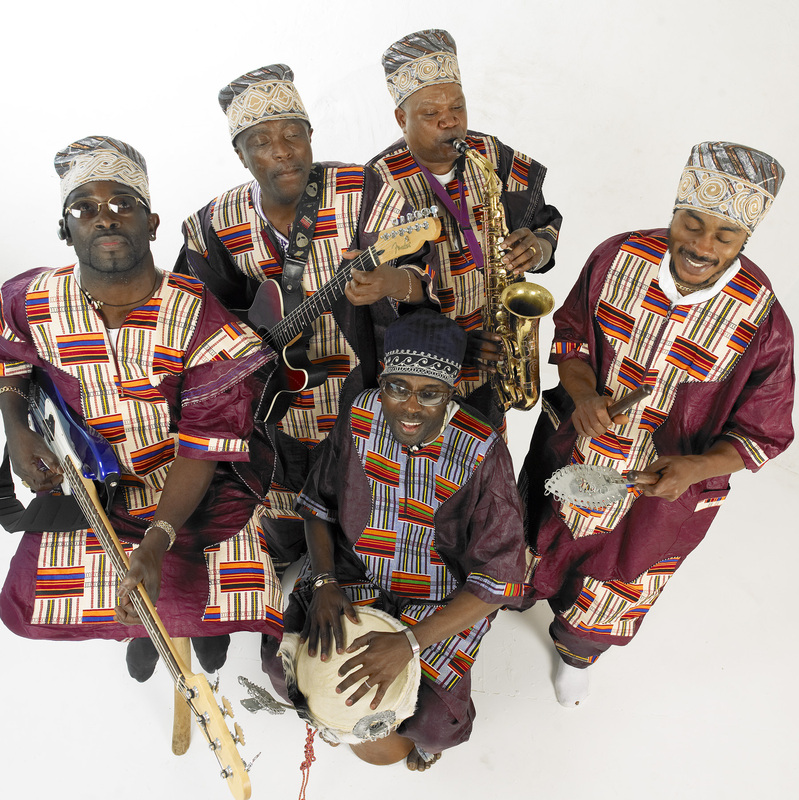 Following their popularity at last year’s festival, headliners Baraka, made a welcome return to this year’s event. Global beats, intricate rhythms and soaring melodies produced a unique sound guaranteed to get you dancing. 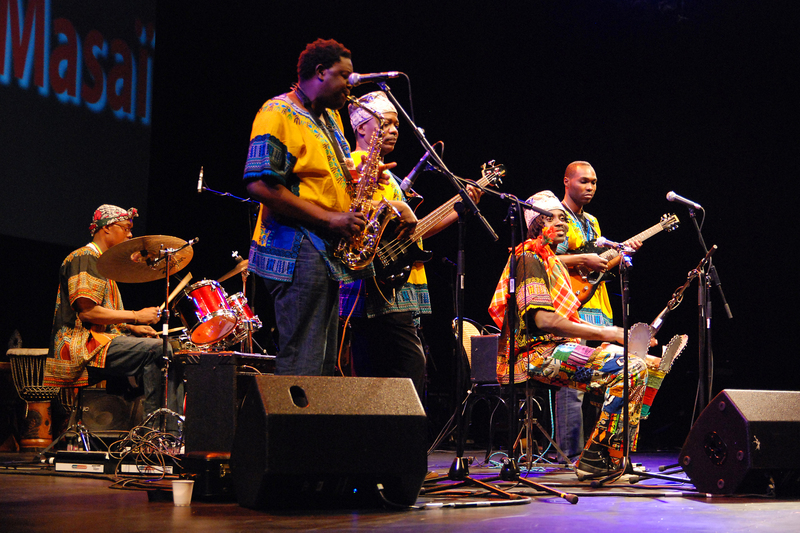 Featuring musicians from Ghana, The Congo, Dominica, Northern Ireland and Southern Ireland, Baraka represents world music at its best. This year we were lucky enough to have kora player and percussionist, Mamadou Cissoko from Senegal, join them on stage adding even greater depth and energy to their wonderful music. Read more about Baraka. Entrance to the festival was FREE with all money raised from donations going towards Nyodema’s health and education projects in The Gambia, West Africa. Nyodema would like to thank it’s sponsors including Sussex Community Foundation – Grassroots Grants, Telephony Business Solutions Ltd, Careline Services Ltd, PB Digital and The Gambia Experience. 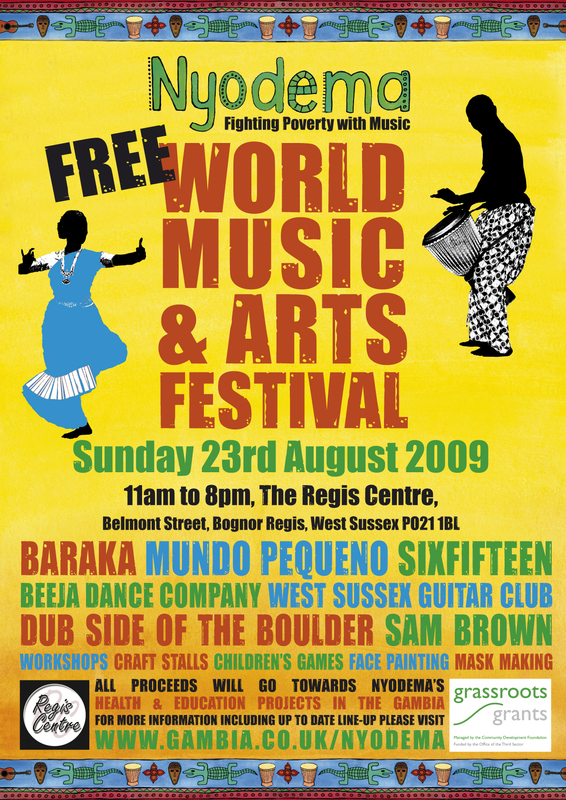 This entry was posted in Festivals, Fund-raising, Workshops, World Music & Arts events and tagged Africa, Baraka, Beeja, Dominica, Ghana, Ireland, Mundo Pequeno, Senegal, Six-Fifteen, Workshops on August 30, 2009 by nyodema.